May 26, 2014 | William A. Schreiner, Jr. While we’re a blog about disputes between executives and companies, we can’t overlook those significant days when those companies and executives pause for a national holiday. Through our first year, we’ve looked at how holidays – when most business stops and courts close (putting a brief halt to the disagreements we cover) – came to be, and their impact on the American workspace. Regular readers will guess where we’re going today. Assuming you are not one of the 35 million-odd Americans traveling more than fifty miles for the traditional start to summer – and if you are, put down the device on which you’re reading this and watch the road, as someone is likely braking in front of you – read on for our look at how we got to enjoy Memorial Day. We celebrate it with barbecues and beach visits, but Memorial Day – originally Decoration Day – started in a much less happy place: the post-Civil War United States. As the nation bound up its wounds, Americans came to grips with the full nature of the war’s carnage, with over 625,000 dead. Many of these casualties were buried far from their homes, changing the way Americans in the healing nation had to look at the very idea of death itself. Faced with this new type of loss, in the first two years after the war people found a new way of honoring those dead by placing flowers on their graves. Word spread and the practice of decorating graves quickly grew. It was formalized in May 1868, when General John Logan, the leader of the Grand Army of the Republic (an organization of Union veterans that would grow to hold tremendous political power in the late 19th Century), called for a “Decoration Day,” on which Northerners would put flowers on the graves of their war dead. Logan apparently chose May 30 of that year for the first celebration because by then, flowers would be blooming nationwide. As with many elements of the Civil War, this history of the first Memorial Day itself is not without controversy. At least five towns – some in the South and some in the North – later claimed to have played host to the first formal Memorial Day celebrations, even before General Logan’s 1868 proclamation. Ultimately, President Lyndon Johnson put some of the controversy to rest, declaring in 1966 that Waterloo, New York is the official “birthplace” of the holiday. Whether that’s true or not could be debated, but the town is, in fact, home to the National Memorial Day Museum (which naturally is open on Memorial Day). 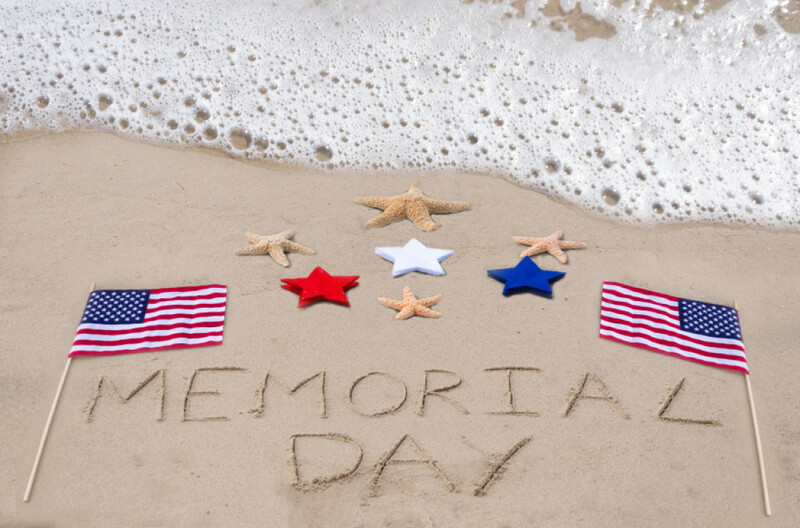 Like so many other federal holidays – Memorial Day was named one in 1967, although many states had declared it a holiday long before then – Memorial Day has been shifted around the calendar over the years. The Uniform Monday Holiday Act of 1968 moved it from the fixed date of May 30 to the floating day of the last Monday in May. And, even though it is now thought of mainly as the start of summer, Memorial Day is still celebrated with flowers on the graves at Arlington National Cemetery, and in some circles it’s still considered somewhat obligatory for the President to lay a wreath in memory of the war dead there. However, and wherever, you chose to celebrate Memorial Day’s addition to – or break from – the American workplace culture, we hope you enjoy it.